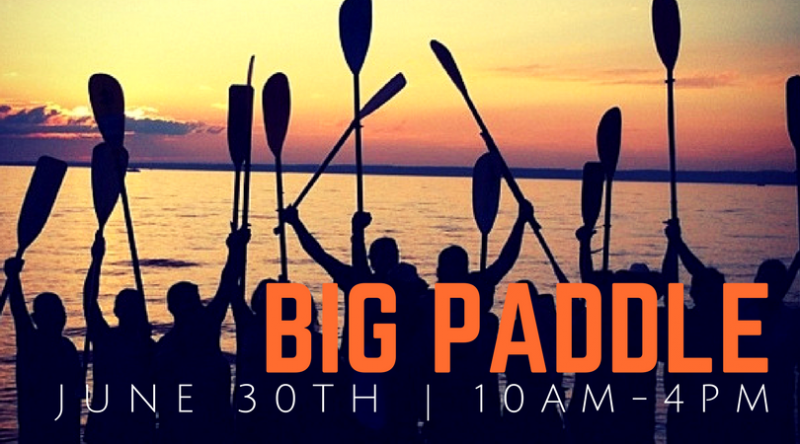 Kick off the summer season at this year's Big Paddle event at Frenchtown Pond State Park on June 30th from 10am to 4pm. This event is FREE and great for all ages. Paddle enthusiasts of all ages and experience levels, we’ve got something for you. Come test out demo equipment provided by The Trail Head and Bob Ward's Sports & Outdoors. Experts will be on hand to offer instruction and guidance while you demo their equipment. Learn about the different paddle sports and check out a variety of new crafts. Talk to river experts and pick up the skills you need to master Montana’s rivers, or simply get out on the flat water for the first time. Attend hour-long educational classes lead by the experts at REI and Zoo Town Surfers. Enjoy food from Covered Wagon Hotdogs, check out the Kids Booth, visit with AIS experts from FWP, learn about boat safety, enjoy food vendors and more! All booths will have fun activities for adults and children. Be sure to enter the drawing for some cool giveaways! Work with experts from The Trail Head and Bob Ward’s to pick out the crafts right for you and test them in the water. REI teaches you all about kayak camping including what to bring, what to leave behind and how to pack it all. Learn about safe paddling practices and how to transition from lakes to rivers with Zoo Town Surfers. Pick up the SUP skills you need to enjoy the summer. Learn from REI then grab a demo craft to test your knowledge! Frenchtown Pond State Park does NOT allow dogs. Please leave your furry friends at home during this event. Also, keep in mind that park entrance fees still apply. If you have an out-of-state license plate the cost to enter the park is $6.00. Contact Jillian at 406-542-5500 or jillianleblow@mt.gov for more information.